Sumayya Ahmed is a Lecturer (Assistant Professor) in the department of Library and Information Studies at University College London-Qatar. She earned her Doctorate from the School of Information and Library Science (SILS) at the University of North Carolina at Chapel Hill in May 2016. While at SILS she held the Educating Librarians in the Middle East for the 21st Century (ELIME-21) Fellowship from 2011- 2015. 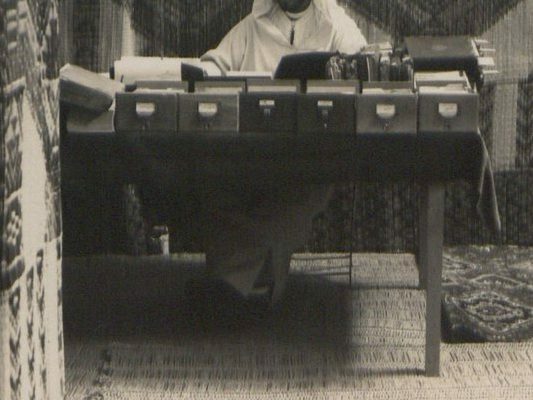 Sumayya’s current research interest is documentary heritage in the Gulf region, and the place of community archives and oral histories in complementing available documentary records. She is also interested in North African (Maghribi) documentary heritage, especially as it relates to the (digital) preservation of Arabic, Amazigh (Berber) and Islamic manuscripts and archival records. Specifically, she is interested in those held in private family collections, and in how (post)colonialism, authoritarianism and ideas about access to information shape public access to, use, and preservation of manuscripts and archival records. As a research aside, she is also interested in contemporary and pre-modern reading and readership in the Arabic speaking world, and has published an article on the subject that can be found in the publications section of her CV.